I had grand expectations of a winter-long delicious Kennebec potato binge. We had 3 bins planted, and several 15 foot long rows in the ground. 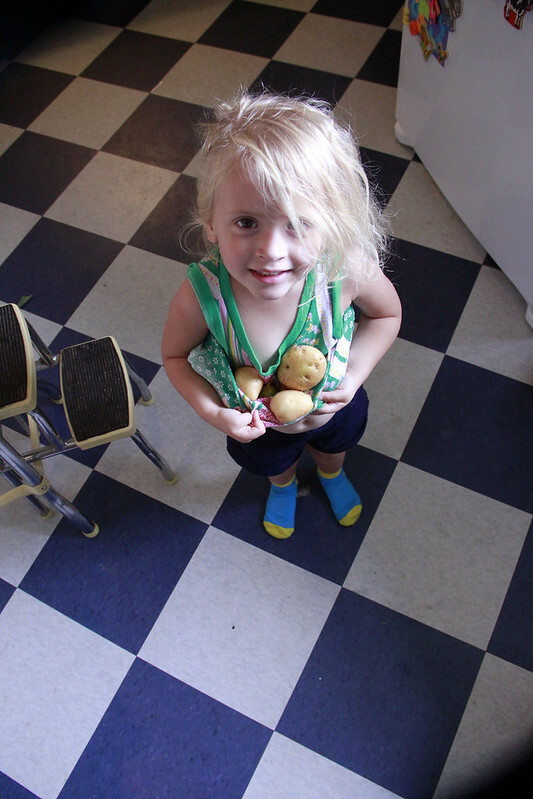 A few weeks ago Mabel and I emptied 2 bins and found about 3 potatoes. Several days ago we dug up the rows and found what you see here. One of the beauties of having M around while gardening? Our sweet little tater tot is a cheerleader for even the smallest of bounties!